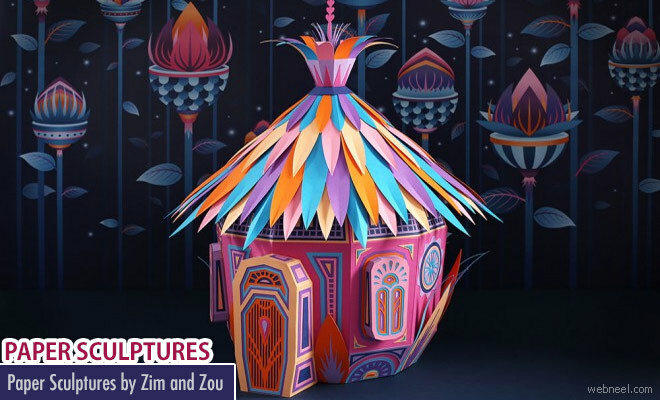 Paper Sculptures : Zim and Zou are artists from China who have made their appearance all the way in Dubai with their amazing paper sculptures. 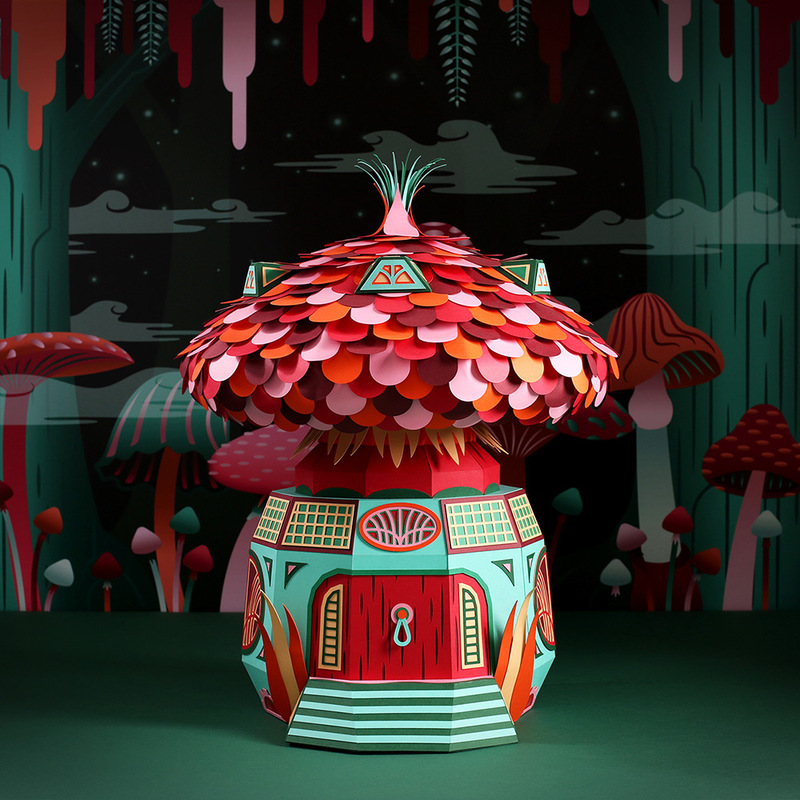 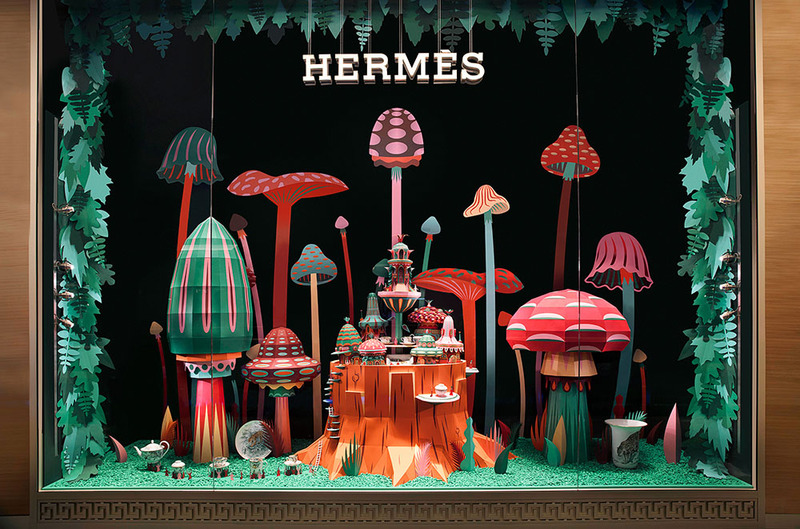 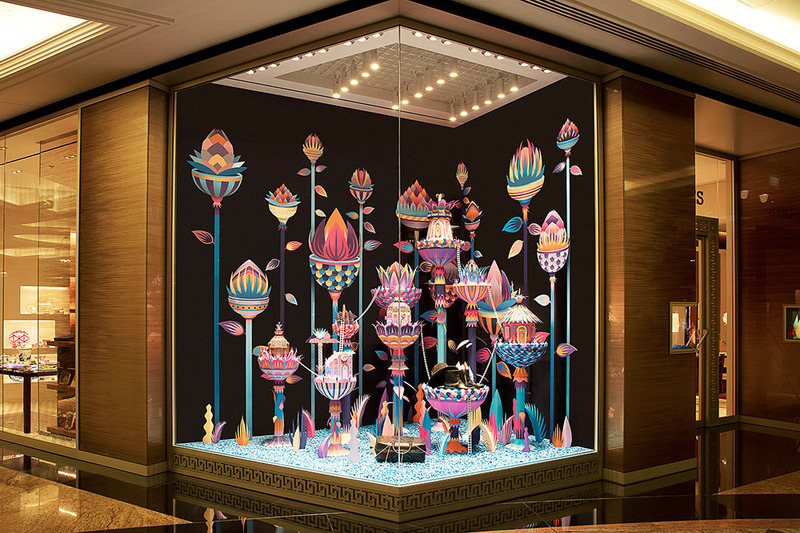 These paper sculptures are on a window display in a new Hermes store in Dubai. 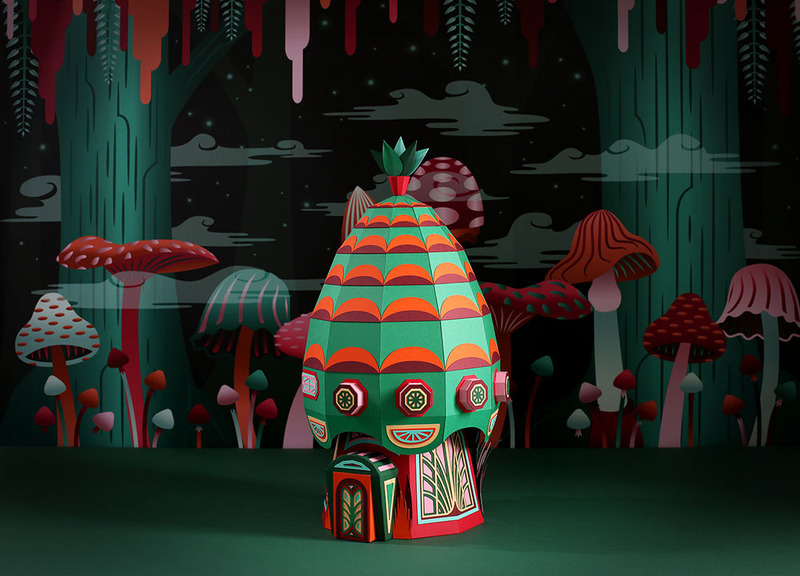 You can see cute paper sculptures of over sized mushrooms, leafy layer sculptures of buildings, caves with people peeking out of it and so on. 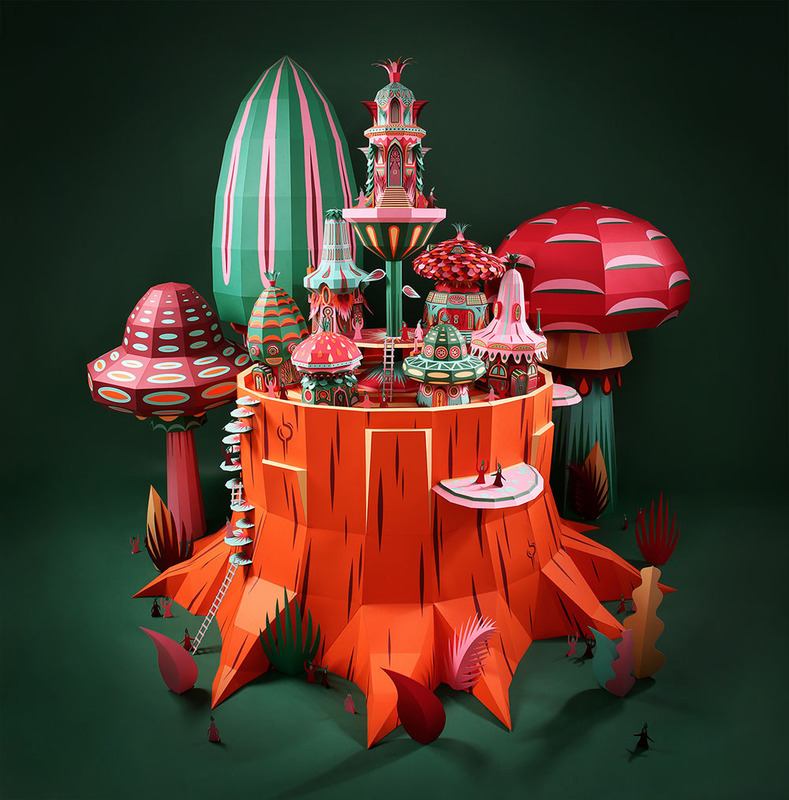 The giant mushrooms are so colorful and the house sitting on top of the tree trunk is equally creative. 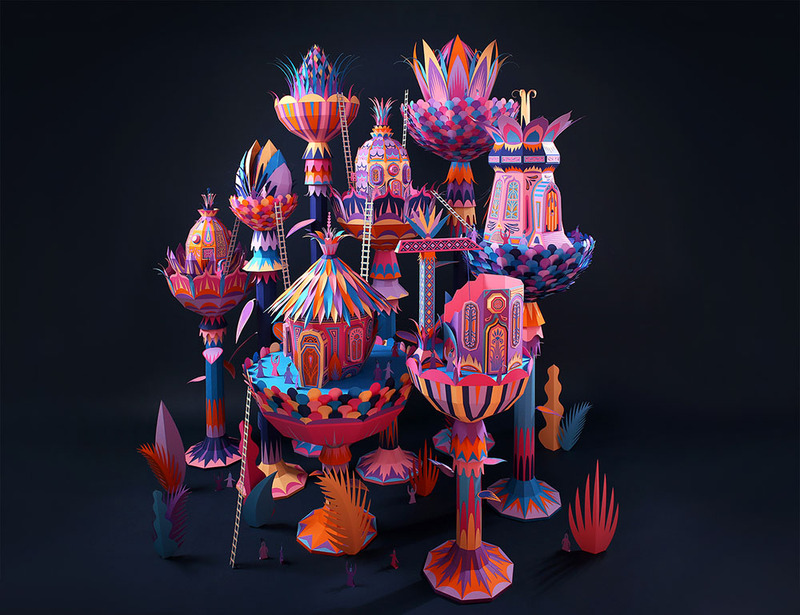 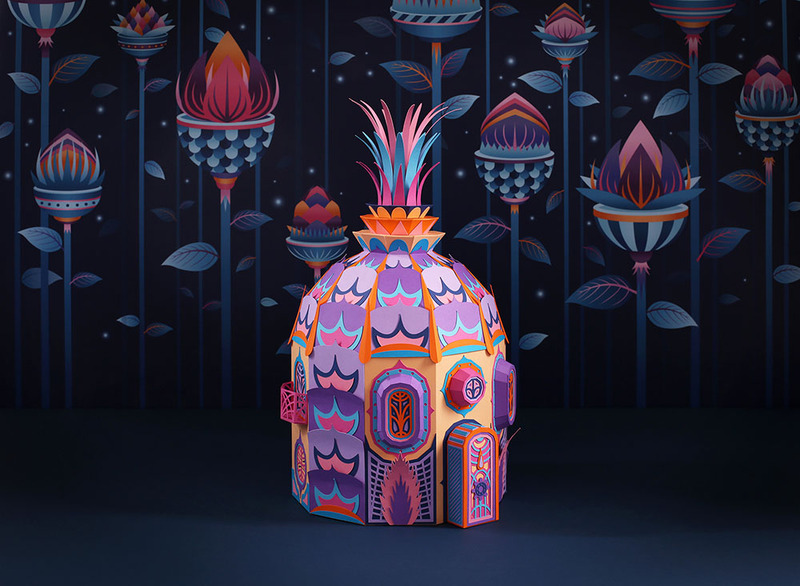 When you have a look at these paper sculptures, you are kind of reminded of Alice in Wonderland, where tiny objects look so huge. 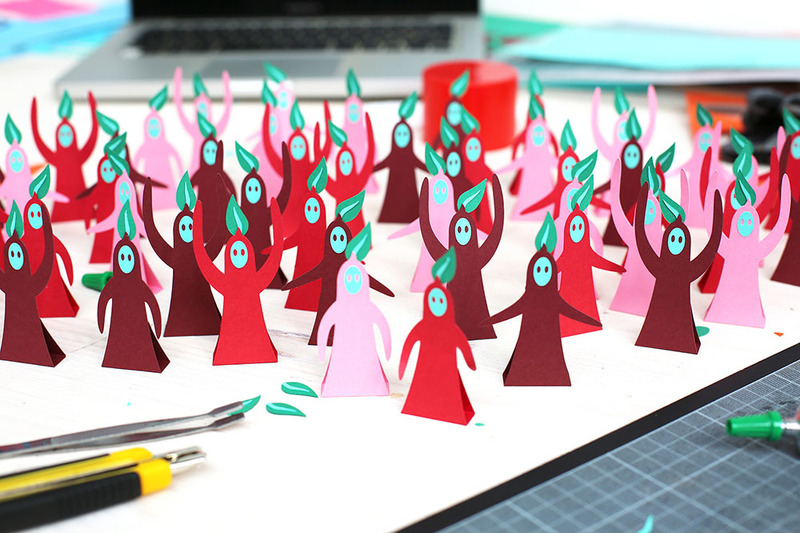 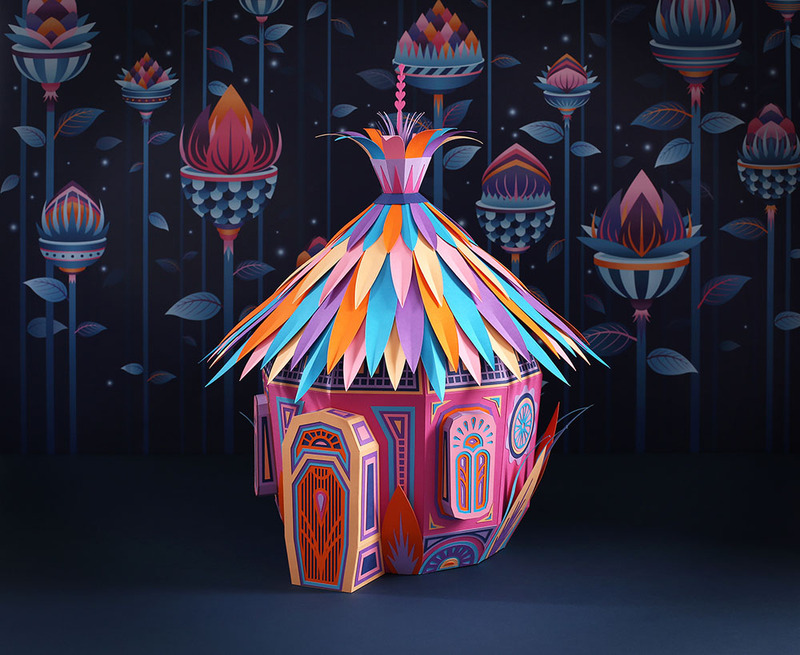 These paper sculptures showcased in a beautiful scene and each one of them have been carefully cut, folded, crimped in various styles using different shades of paper to get this wonderful look.